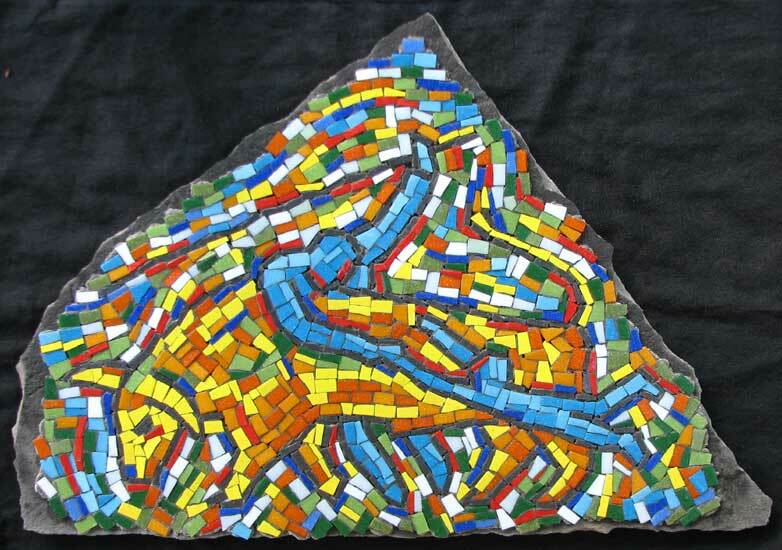 “Charging Bull” mosaic art. concrete and vitreous glass on fieldstone. 24 in x 16 in.